Manchester United is getting just what the doctor ordered – a fresh new face and an excellent set of legs on the defensive end. 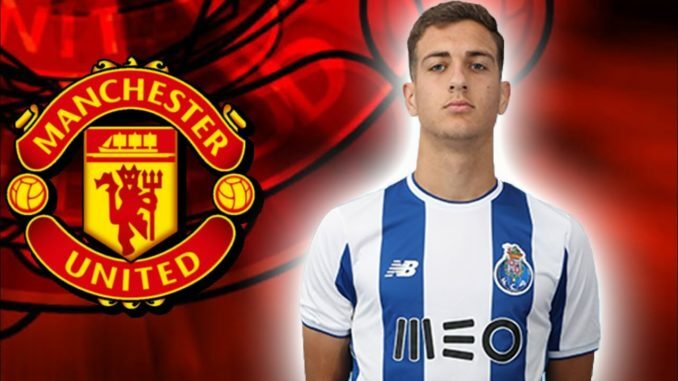 Diogo Dalot is a 19-year-old full-back from Porto, and he’s ready to lend a hand – or a leg if you prefer. Well, for those who don’t know, Diogo Dalot was a star player in Portugal’s U15 and U21 teams. He even made an excellent debut for Porto, playing against Liverpool in a scoreless match. There, Jose Mourinho noted his skill, speed, strength, and tactical prowess and simply had to have him. Additionally, Dalot couldn’t have come at a better time. Two of United’s full-backs are leaving the Red Devils. Those are Matteo Darmian (he’s probably going to Juventus) and Daley Blind. With them gone, the young defender from Porto is likely to be in the starting line-up, and defend the goal together with Antonio Valencia. Mourinho seems to have nothing but words of praise for the young player. He said that Dalot is exceptionally talented and that he’ll fit well into the roster. From this, we can surmise that Manchester’s manager intends to keep him long-term. Indeed, he plans to mould Diogo into a thoroughbred Red Devil, one that will allow United to contend Manchester City. Mourinho is also making an effort to strengthen his midfield by bringing in Fred from Shakhtar Donetsk for £47 million. While the past season was not the best for Manchester United, with these two additions, the Devils might just turn it around! However, we are still a couple of months away from the new season. So, who knows what other transfers might be happening before the official start of the 2018/19 Premier League.